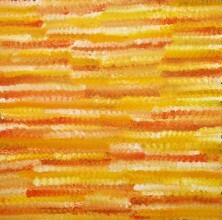 Evelyn Pultara was born in approximately 1940 and comes from Woodgreen Station, located in Utopia in Central Australia. Evelyn is from the Anmatyerre language group in Utopia and is the sister of Greeny Purvis Petyarre, another well known Utopian artist who sadly passed away in 2010. 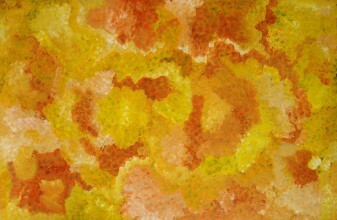 She is also the niece of the famous and late Emily Kame Kngwarreye. A mother of six children, Evelyn has grown up in her traditional homelands surrounding Utopia and raised her children there. She began painting in 1997 and started out depicted more traditional designs such as bush tucker and Awelye (women’s ceremonial body paint designs) however she has progressed rapidly and is an outstanding artist in her own right. RShe has also taught her daughter, Rachael Nambula the Bush Yam Dreaming, they both share similar styles however Evelyn’s brush strokes are much more controlled and precise whereas Rachael’s create a fiery of colour and lines. Evelyn typically uses acrylic paints on canvas and as an extension of her art is able to strengthen her personal connection with the Bush Yam and her environment as well as educate and inform art lovers from around the world. Evelyn now lives in Willowra, another Aboriginal community in Central Australia with her husband. 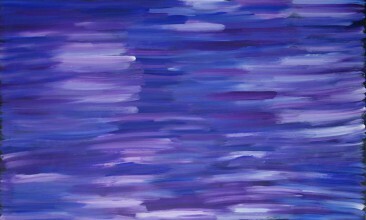 She is a shy and quiet woman who rarely gives away more than necessary about the context or content of her paintings. Her artworks are bold and rich with colour, they are beautiful to observe, it can be seen that underneath is a map filled with information and knowledge about Anmatyerre life, culture and history. 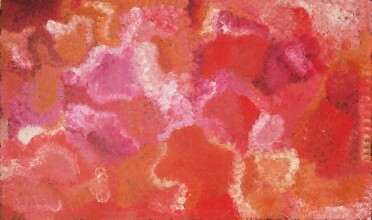 Evelyn’s works can be found in several important and well known collections around Australia and her works have been exhibited in Australia and overseas. In 2005, she was awarded first prize in the National Aboriginal and Torres Strait Islander Art Award for her entry into the general painting division. Now an elder, Evelyn has had a wonderful career and been recognised for her talent on the ultimate stage. 2002 Red Sands Art Gallery, Alice Springs. 2003 Teatro della Tosse, Rassegna Australiana: Arte del Deserto, La Spezia, Italy. 2003 Centro Culturale Allende, Songi Aborigeni Premio Chatwin, La Spezia, Italy. 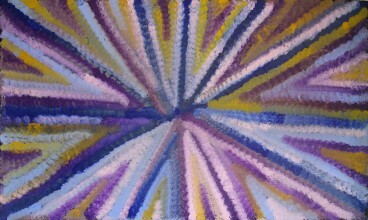 2003 Outback Aboriginal Art, Melbourne. 2003 World Vision & Walkabout Gallery, Sydney. 2004 “Evelyn Pultara”, abOrigena, Milan. 2005 “Linda Syddick & Evelyn Pultara”, Japingka Galler. 2005 National Aboriginal and Torres Strait Islander Art Award Exhibition, Museum and Art Gallery of the Northern Territory, Darwin. 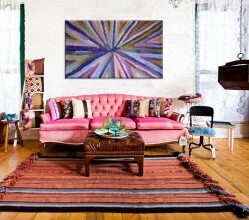 2005 “The Art of Evelyn Pultara”, Gig Gallery, Sydney. 2010 “Tradition to Modernity”, Central Art in conjunction with Tasmania Craft Fair, Tasmania. Museum and Art Gallery of the Northern Territory. 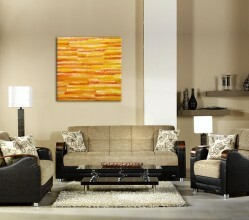 2005, First Prize, General Painting Section, National Aboriginal and Torres Strait Islander Art Award.